Compare Auckland Broadband Plans and Save Money! According to a research report from the Auckland University of Technology (AUT), 91% of New Zealanders are active internet users, with 70% of those surveyed stating that they use at least 2 hours online every day. Both mobile devices and laptops are Kiwis preferred devices for accessing the internet. With such excessive demand for fast broadband out there, how are New Zealand’s broadband providers coping? In this blog post, we discuss what internet options consumers have available to them with a particular focus on Auckland Internet Providers. What Broadband Providers are Available to Aucklanders? The great thing about being a broadband customer in Auckland is that there are plenty of options to choose from. Some of the main Auckland Internet providers include Stuff Fibre, Spark, Vodafone and My Republic. The high level of competition is great for consumers as competitors are constantly trying to undercut each other and steal customers from one another using all kinds of incentives. For example, this April, one of the promotions on the glimp website is for Orcon. If you sign up to a 12-month contract with Orcon, they will offer you six months for half price. There are plenty of enticing broadband deals out there from a range of NZ Internet Providers. We have compiled a roundup and Review of Broadband Providers in Auckland, which we highly recommend checking out if you want to find out more information about what is available to you. 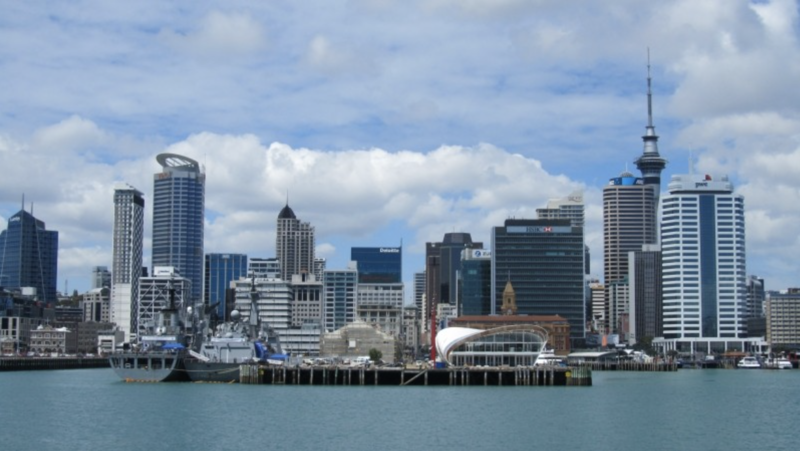 Auckland is recognised as a central hub for New Zealand families and businesses. Fortunately, there are many options available for your needs. From the slowest ADSL choice to popular VDSL and ultra-fast Fibre options, Aucklanders are presented with many options. The ultra-fibre rollout is in full effect and consumers are now very aware of the options available to them. Telecommunication company Chorus is currently in the process of phasing out copper-based internet options such as ADSL and VSDL so that they can focus on providing fibre to everyone. Want to learn more about the differences between your broadband options? See how each option compares in our ADSL vs VDSL vs Fibre blog post. Compare Auckland Broadband Plans and Save! With the many broadband providers operating in Auckland alone, it can become quite overwhelming when trying to dissect the various range of broadband packages that they offer. Fortunately, this is why glimp exists. glimp is a utility comparison service that helps New Zealanders find the best deals possible on expenses such as electricity, broadband and insurance. Our Broadband Comparison Tool lets you Compare Auckland Broadband Plans and see key information at a quick glance such as sign-up fees, monthly fees, free offers and other various information. Try it out for yourself and compare your current broadband package with what other competitors are using!